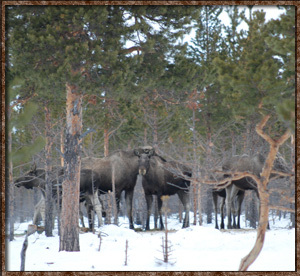 In the surroundings of Idre there are excellent possibilities to get close to the elk. 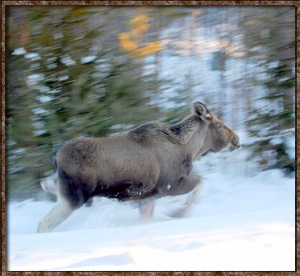 We have mapped out a route of approximately 3 hours where you have a good change seeing elk. We take the car to an area where they are spotted frequently. During this evening event we always take a break and enjoy the beauty of the landscape and the peace and silence. Of course with a nice cup of coffee. We know by experience that this is an excellent trip for children. An evening "hunt" for elk / moose!